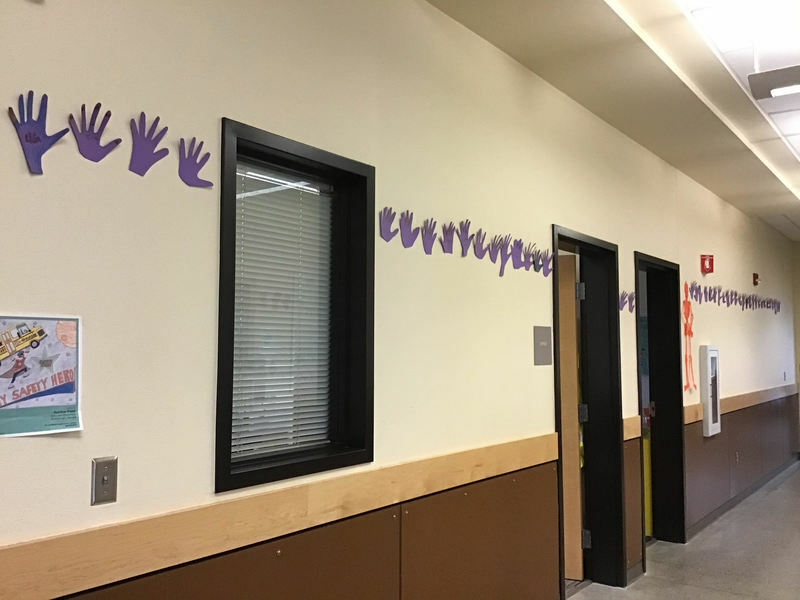 Walk the halls at Union Ridge Elementary School, and you’ll see dozens of purple handprints lining the walls. The vibrant splash of color has a deeper meaning: Union Ridge students are banding together for anti-bullying month. The Purple Hands Pledge started in Salem, Oregon as a way to encourage students not to use or tolerate violence. The simple idea, “Hands and words are not for hurting,” became a nationwide movement. School counselor Niccele Dunn explained the purple hands. “The students make a pledge not to use their hands or words to hurt themselves or others. 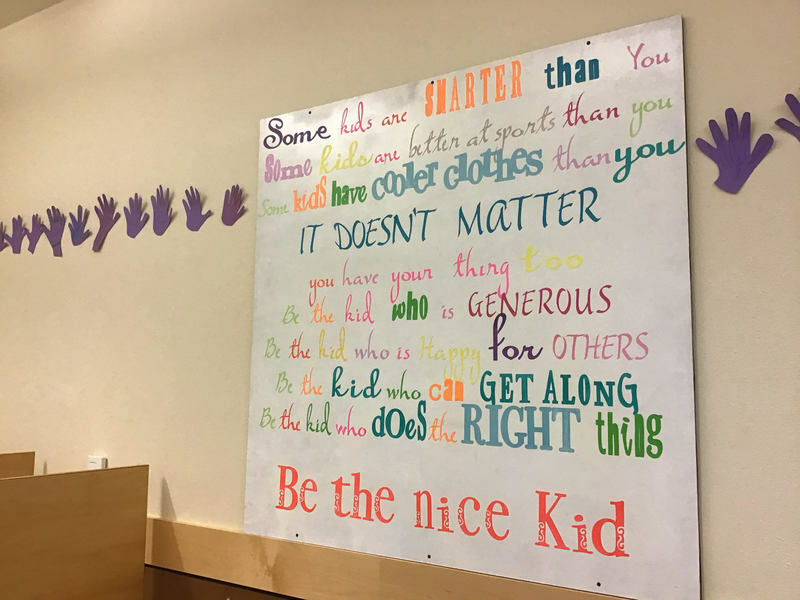 They trace and cut out their hands on purple paper, which we hang up connected throughout the school.” It’s a visual reinforcement of the students’ pledge that they can see every day. Volunteers from the Union Ridge Parent Teacher Organization came to help younger students trace their hands. Students were able to cut out and decorate their handprints, so every handprint is unique.